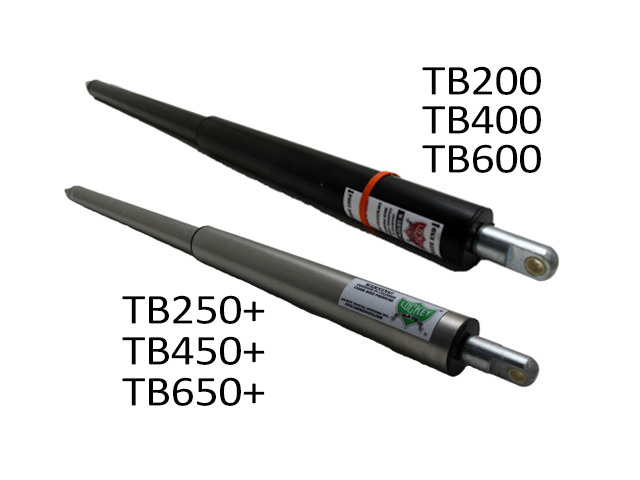 Lockey TB 200/400/600 Series Hydraulic Gate Closers include the following models: TB200, TB400, TB600, and the adjustable TB250+, TB450+, TB650+ gate closers. 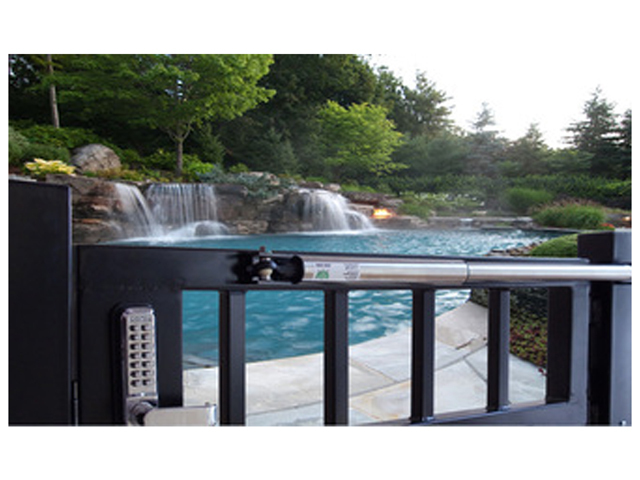 These automatic gate closers do not slam gates shut like most closing springs. 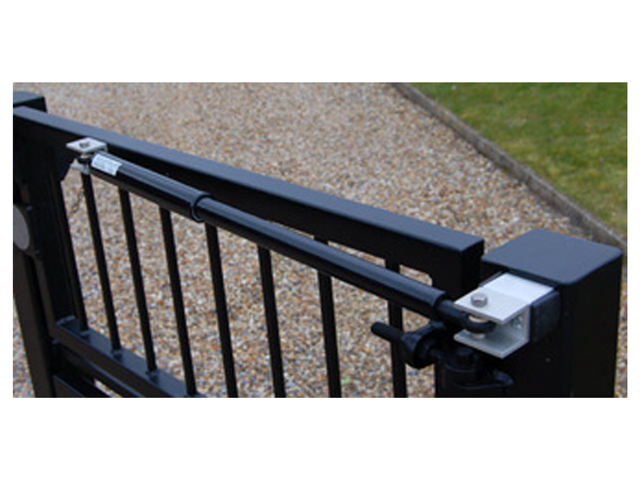 Instead, they firmly push a gate closed at a controlled speed and pressure. 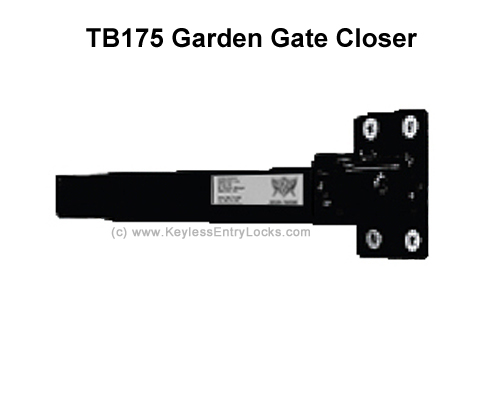 This saves wear and tear on the lock and other latching devices and ensures that the gate is closed, latched, and locked automatically (depending on the lock), each time it is closed. 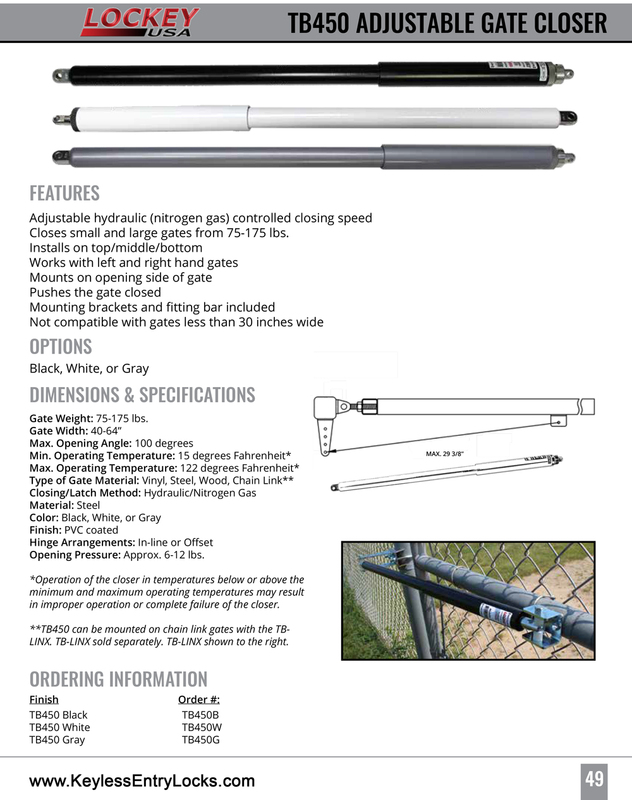 Economic and reliable automatic gate closers for use on commercial or residential gates. 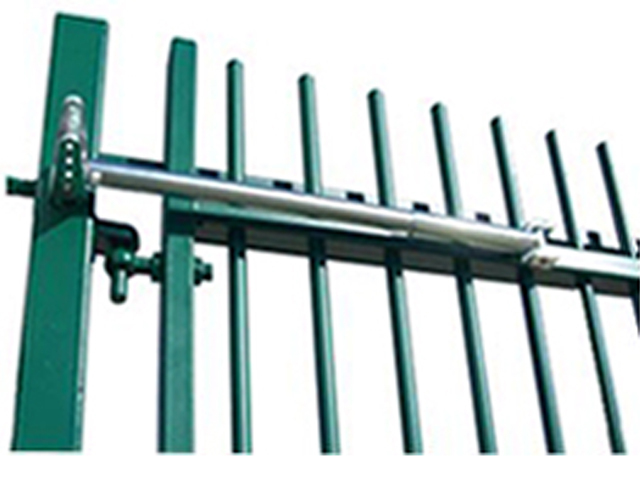 The closing speed of the automatic gate closer is pre-set to provide a controlled close of approximately 6 seconds, depending on the model. 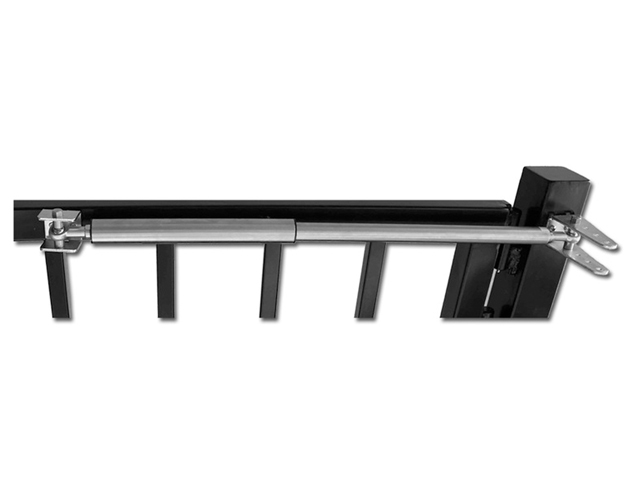 Quick and easy installation for both in-line and offset hinge arrangements. 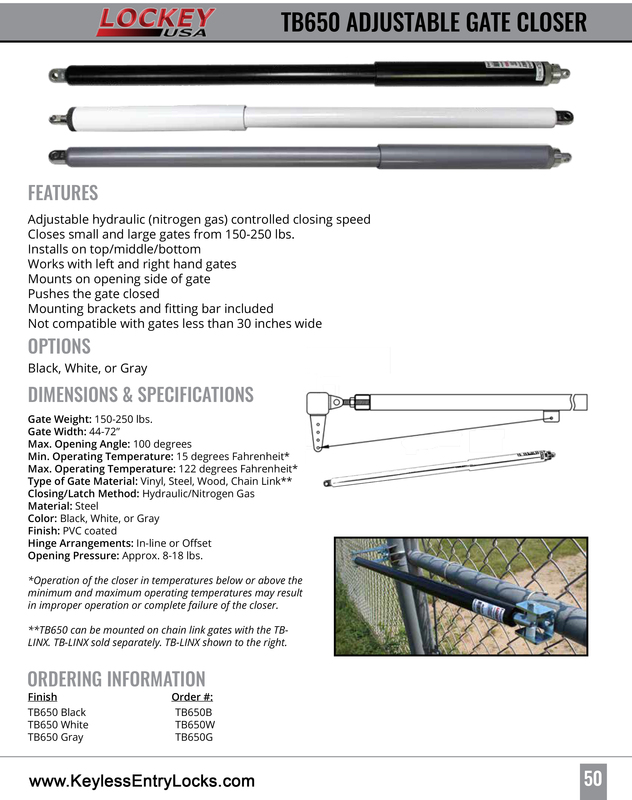 Adjustable hydraulic (nitrogen gas) controlled closing speed. 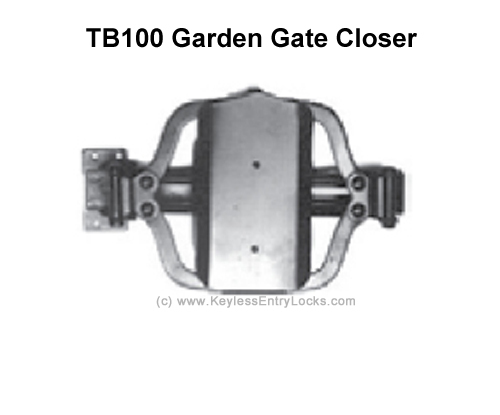 Suitable for use with Lockey's keyless security locks. 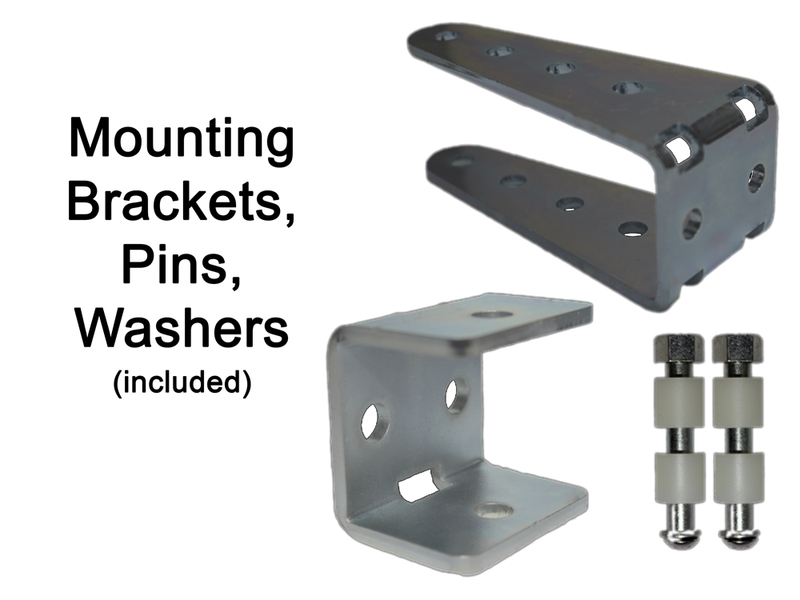 Made of steel with a bright zinc plate finish. 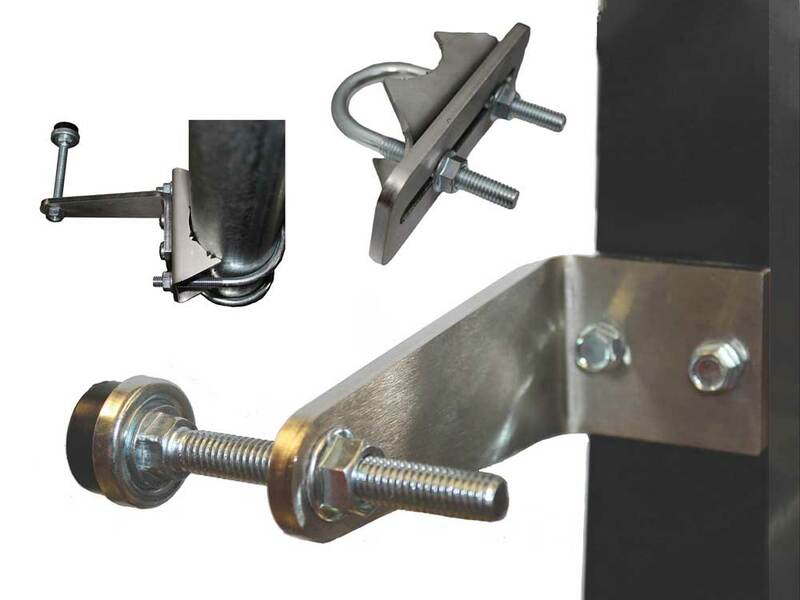 All measurements are taken using the 1st mounting hole on the post bracket with a 3" distance between the center of the hinge and the center of the post mounting bracket. 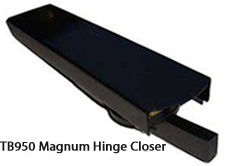 The opening pressure will INCREASE using the 2nd, 3rd and 4th holes. 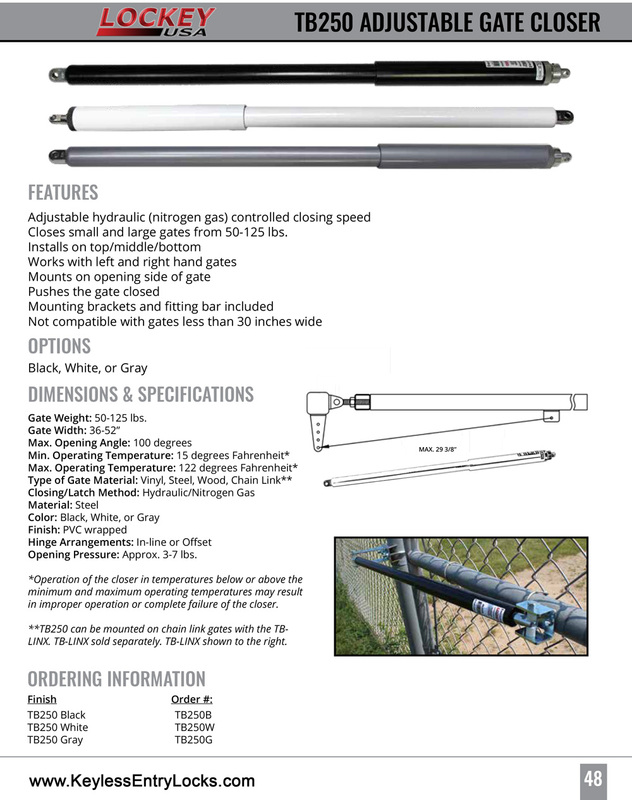 These are "ADDED" opening pressures. 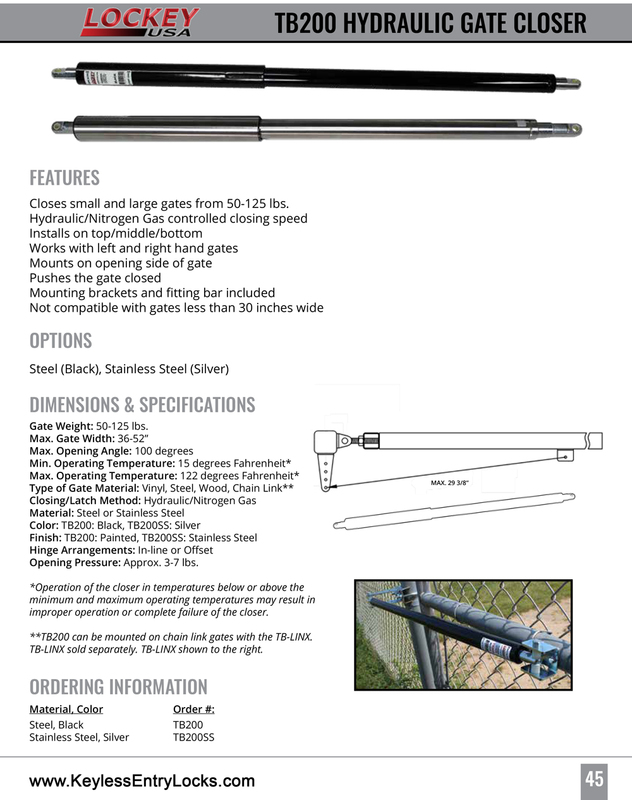 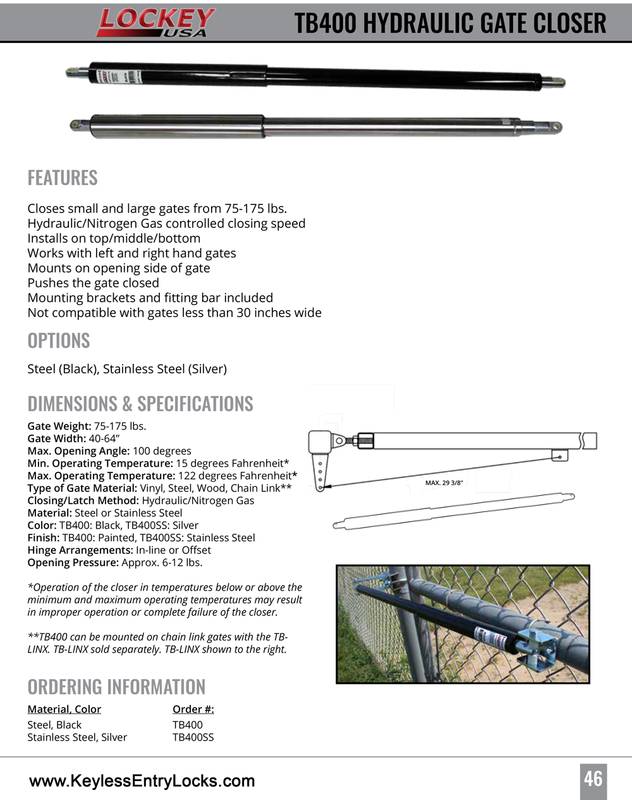 This chart DOES NOT take into consideration the hinge arrangements, quality of hinges, ease of operation,wind, etc.